If your business depends on complex machinery, then you know the importance of regular maintenance. Without timely maintenance, your machines will break down and cause expensive repairs and replacements. To avoid these expensive misfortunes, most businesses practice preventive maintenance, which involves tuning up machines even when they don’t need it. However, there is a more effective practice that aims at making maintenance more affordable and efficient. Predictive maintenance (PdM) is a maintenance technique that monitors the performance and condition of a machine and predicts its future failure point. Infrared thermography: An infrared imager will help you evaluate the temperature of your equipment to avoid overheating. Ultrasonic analysis: This tool converts the frequencies from your machine into visual or auditory signals that are easier to evaluate. These frequencies are generated from issues like leaky valves, faulty electrical equipment, and unlubricated bearings among other issues. Vibration analysis: It measures acceleration or displacement to check for certain problems such as imbalance, misalignment, looseness or wear among many others. Current analysis: It is important to measure the amount of electrical current that is being supplied to an electric motor. By doing so, you will discover any existing rotor bar issues or other problems with connectors and belts. Oil analysis: This measures the lubrication of your equipment and determines its health and the lubricant’s health. PdM mostly relies on IoT (Internet of Things) for easier collection of data. The condition-monitoring equipment has sensors that are connected to a console that collects and evaluates data from your asset. The sensors are able to detect different data and feed it in real-time to a computer, and you can retrieve that information in a manageable form. 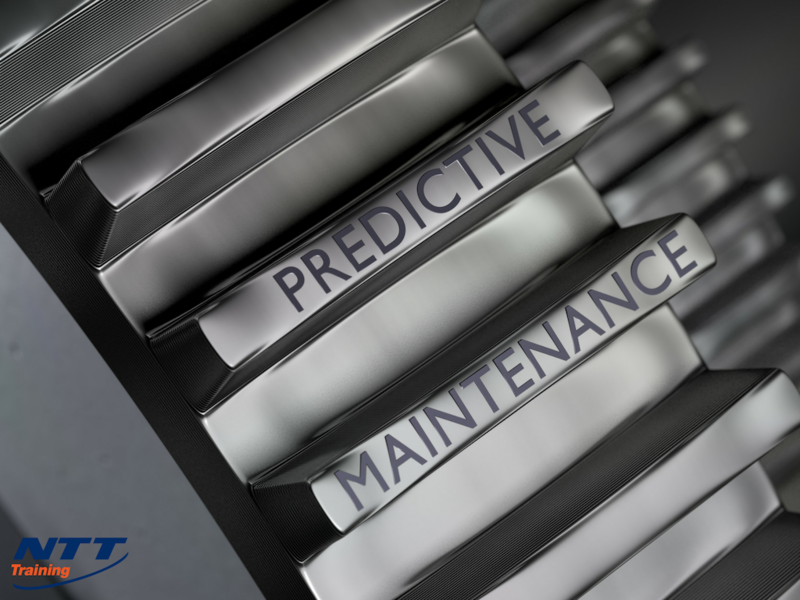 The data collected by the predictive maintenance tool is analyzed using an algorithm that helps identify a trend that can be used to determine when a machine will need repairs or replacements. The algorithm used combines both the expected behavior and the gradual deterioration of your equipment to effectively predict when your asset will need attention. Why Should your Business Practice PdM? Recent studies indicate that businesses spend more than 80 percent of their time reacting to emerging issues instead of taking proactive measures to prevent them. Predictive maintenance will help you in predicting potential failures, and as a result, you’ll be able to save time and money by reducing unplanned breakdowns and unnecessary preventive maintenance while increasing production. The main benefit of establishing a predictive maintenance program in your business is to reduce the number of injuries and fatalities. This will also minimize the number of personal injury claims. According to an ABC news report, there were nearly 8,000 accidental chemical releases from 2001 to 2011, and half of these accidents were caused by equipment failures. The availability of your machine will increase after implementing a predictive maintenance program. Although production increase is based mainly on machine availability, a complete predictive program that includes process parameter monitoring will improve the efficiency of your machine and boost productivity. PdM will help cut maintenance costs by more than 50 percent. This technique will also help you to reduce labor overhead costs, as well as the cost of repairs and replacement of parts. The early detection of problems and prevention of failures will increase the service life of your machine. You will note an increase in lifespan after implementing a predictive maintenance program over a certain period. A predictive maintenance program prevents serious damage to your equipment and this greatly reduces the severity of damages thus increasing the service life of your asset. One of the main advantages of predictive maintenance is the ability to estimate the time between failures. This allows you to choose the best cost-effective measure to replace your machine. Predictive maintenance is a maintenance strategy used by successful businesses. With its cost-effective and long-term benefits, your company will be able to stay ahead of the competition. Contact NTT Inc. today for employee preventive maintenance training.